Pakefield Caravan Park01502 561136work01695 580135fax Holiday ParkPakefield Caravan Park is a 4 star Holiday Park in a peaceful and tranquil setting on the Sunrise Coast in Suffolk. Suitable for families and couples, the caravan park has some fabulous sea views and is only 2 miles from the resurgent coastal resort of Lowestoft and ten miles from Southwold and Great Yarmouth. The waterways of the world famous Norfolk Broads are within a short distance of the park as are the Pleasurewood Hills Theme Park and Africa Alive! The Park prides inself on its high standard of contemporary holiday accommodation. We offer static caravans for sale, grear caravan holidays (several caravans having sea views) and fully serviced pitches for touring caravans and motor homes with 16 amp electric hookups, water points and new toilet and shower block. 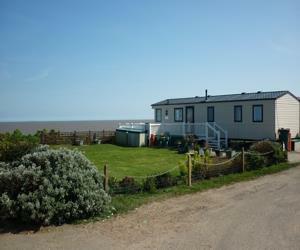 Pakefield Caravan Park is a 4 star Holiday Park in a peaceful and tranquil setting on the Sunrise Coast in Suffolk. Suitable for families and couples, the caravan park has some fabulous sea views and is only 2 miles from the resurgent coastal resort of Lowestoft and ten miles from Southwold and Great Yarmouth. The waterways of the world famous Norfolk Broads are within a short distance of the park as are the Pleasurewood Hills Theme Park and Africa Alive! 'A perfect location to enjoy the beautiful stretch of the Sunrise Coast'. From the A12 northbound at the Pakefield McDonalds roundabout take the 3rd exit onto London Road, past the water tower, take the 2nd right onto Cliftonville Road and then the 1st right onto Grayson Avenue. The park is straight ahead. From the A1117 take the 1st exit at the Pakefield McDonalds roundabout onto London Road and follow the directions above. The nearest bus stop is a good 10 minute walk away. Take the 601 from the bus station in Lowestoft. Depart the bus at the Tramways Hotel and walk south along London Road towards Kessingland. Take the 4th left into Cliftonville Road and then the 1st right into Grayson Avenue. The park is at the end of Grayson Avenue on the left. The nearest train station is Lowestoft station.